Excitement is building at Rush University Medical Center as we count down to the opening and move-in day of our new hospital on Jan. 9. Plans and preparations are under way for a sneak peek tour of the new building, and Rush is inviting our surrounding community, current patients and their families and friends to come in and see what we’ve been working on over the last few years to bring an even higher level of care to those that matter most to us, our patients. One-hour, self-guided tours will be offered on Saturday, Dec. 10, between 9 a.m. and 5 p.m. So mark your calendars and save the date, because this will be an opportunity to see the future of medicine and how this building was planned from the inside out to provide the highest quality of care. You may ask yourself if spending part of your Saturday touring a hospital is something worth considering. Let me share some more details about the sneak peek tour so you can make a more educated decision. Unique design: The patient tower’s unique butterfly-shaped design may be of interest to community members who enjoy viewing unique Chicago architecture. On the tour, you’ll learn about how caregivers and patients played a central role in the Tower’s design. 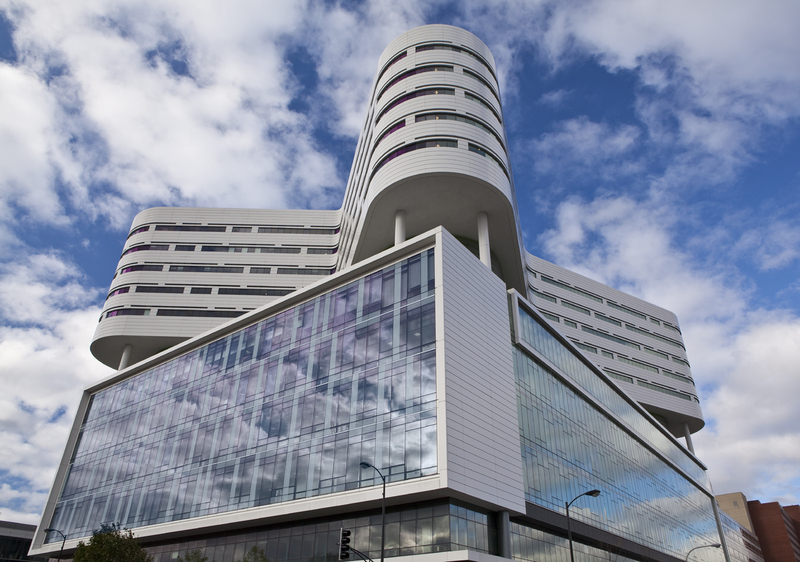 Sustainability: For those who are interested in sustainable and environmentally friendly projects, this new building is Chicago’s first green, full-service hospital. Technology: If you like to keep informed about the latest technology and services available to patients, you won’t be disappointed when you have a chance to view one of our operating rooms along with the specialized equipment used for simple to complex procedures. You’ll also see firsthand one of the only U.S. hospitals with a design concept called the interventional platform and learn what this means for patients and their families. Emegency Center: Those of us who like to be prepared for an emergency can see our new, state-of-the-art emergency center, which will provide an unprecedented level of readiness for large-scale health emergencies as well as care for everyday emergencies. Families are encouraged to bring their children along on the tour so they can see a hospital from a different point of view. This is a perfect opportunity to let kids see the healing side of a hospital when they are not there as a patient. Kids are welcome to bring a stuffed animal or doll to be examined by one of our ER clinicians. This teddy bear clinic is a great way for kids to see the staff in action and may help decrease anxiety in the future, if and when an emergency does occur. Visitors will also be able to walk through an ambulance to see the equipment used in an emergency and during a ride to the hospital. We do have a few more fun surprises to help add excitement to the day. We’ll be giving out fun door prizes donated by local business in the area, ranging from a Radio Flyer wagon to a signed White Sox jersey to a gift certificate to a local restaurant. And every guest will receive some free Rush giveaways. Rush will provide free two-hour complimentary parking during your visit. We’re asking people who want to participate in the tour to register in advance. For more information, please call (888) 352-RUSH or visit transforming.rush.edu. Laura Pellikan is director of marketing at Rush University Medical Center. This entry was posted in New Hospital Building, Rush Transformation and tagged Chicago architecture, green hospital, new rush hospital, newrushhospital. Bookmark the permalink. I am interested in taking a tour of your new hospital. Please let me know if you are going to have future tours. Thank You.